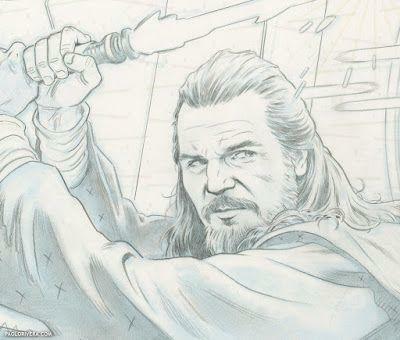 Pencils over digital sketch STAR WARS: AGE OF REPUBLIC -QUI-GON JINN 1. 2018. Ink on bristol board with digital color, 11 × 17″.